The Swedes had a word for him: begavad. Indeed, Brooklyn youngster Karl Swenson, born to Swedish immigrants in 1908, was gifted. 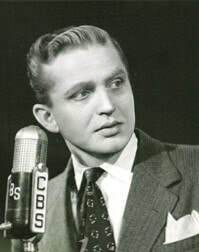 His stage career never got far, (nor did his stage name), but Swenson’s abilities to quickly interpret scripts and sight read became known in the growing New York radio community which was first attracted by his talent to deliver lines with the subtle accents and inflections common to those of foreign descent. In early radio, comedians monopolized ethnic accents with cartoonish voices intended to make audiences laugh - Jack Pearl's Baron Munchausen and Harry Einstein's Parkyakarkus, for example. 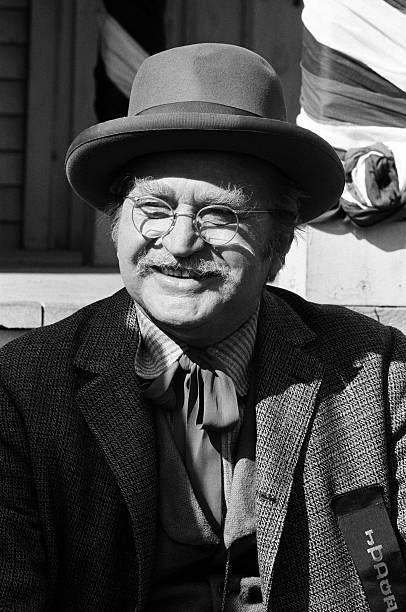 Karl Swenson was an actor whose character voices were intended to make audiences believe. Swenson’s Network Radio acting career began a most did, with uncredited small roles. In his case it was in the large cast of the long running March of Time and the smaller ensemble of the short lived serial, Joe Palooka. Prestige programs followed with small parts in DuPont’s Cavalcade of America and the CBS Columbia Workshop. Like the young Swede’s career, radio drama was just taking shape and the two soon converged. For comparison of Swenson’s approach to the two roles, episodes of Our Gal Sunday from June 7, 1944 and from Lorenzo Jones, September 21, 1948 are posted. Like Our Gal Sunday, Lorenzo Jones was a hit with daytime audiences and its sponsors. (4) Both programs provided Swenson with steady work and paychecks well into the 1950’s - something most actors can only dream about. But before recording programs was allowed on CBS and NBC, the two different daytime dramas on two networks each day required two rehearsals with two separate casts every day and a strict work schedule. Further, Swenson’s workday often extended into the evenings and weekends, to other programs that wanted his unique talents. The best range of those talents is found in five appearances on DuPont’s Cavalcade of America for which he was among its first call character actors from 1935 to 1953. (5) His portrayal of five of the program’s subjects from different ethnicities at different stages of their lives are posted: Thomas Jefferson from January 30, 1940, author Edgar Allen Poe from February 26, 1941, medical great Johns Hopkins from May 26, 1941, Scandinavian explorer Leif Ericksson from September 1, 1941, and jurist Oliver Wendell Holmes from August 28, 1944. Over a six year span beginning in 1938, Swenson joined the casts of four sustaining CBS series, The Mercury Theater of The Air, So This is Radio, Columbia Presents Corwin and Mrs. Miniver. Then, during the summer of 1945, he took the lead in the Mutual series, The Adventures of Father Brown. The August 13, 1945 episode from this short lived series that failed to attract a sponsor is posted in which the actor displays a brogue that is definitely not Swedish. Swenson’s work outside his CBS base of operations expanded in 1945 when he joined the cast of ABC’s Friday night hit, This Is Your FBI and Mutual’s Lawyer Q in 1947. But he stepped into the solo spotlight with lead performances on the CBS anthology Inner Sanctum from 1945 to 1949. Two of his starring roles from the series are posted: The Lonely Sleep from September 25, 1945 and The Blood of Cain with Mercedes McCambridge from January 29, 1946. Variety’s prediction, if a sure thing can be called such, rang true. The Hummerts’ formulaic Chameleon broke into Wednesday’s Top Ten at 8:00 p.m. and won its time period for three consecutive seasons. It‘s ranking in the Annual Top 50 was equally impressive - opening at 44th in 1948-49, then moving up to 15th in 1949-50 and finally reaching the Top Ten as CBS’s most popular Wednesday night show and Number Ten in 1950-51‘s rankings. An episode from this era, December 21,1949 is posted. But while Swenson’s multi-voiced Chameleon rose steadily in the rankings, his ratings, (like all Network Radio ratings during television‘s booming growth era), fell. Sterling Drug dropped the competitively successful show at the end of the 1950-51 season, but CBS kept it for participating sponsors as a 1951-52 mid-season replacement. As such, Mr. Chameleon was moved from its Wednesday berth to Thursday opposite the night’s leading program, NBC’s realistic police drama, Dragnet. (See Jack Webb’s Dragnet.) Mr. Chameleon slipped to 49th place with a 5.9 rating, out of contention and off the air in August, 1953. As Network Radio’s Golden Age drew to a close in 1953, Swenson still had his Hummert day jobs with Our Gal Sunday on CBS and NBC’s Lorenzo Jones. In addition he joined the cast of The Chase, a sustaining NBC anthology on Sunday afternoons. But his soap opera roles were both 16 years old and television had begun to cut into Network Radio’s daytime audience. The blonde actor, still a handsome 45, began looking at television, himself, and not simply as a viewer. By 1958 Swenson was an established film actor, in demand for character roles in movies and television. Yet, when CBS Radio producer/director Bill Robson was looking to cast the lead dual role of twin brothers for his Suspense broadcast of The Five Buck Tip on February 23, 1958, he persuaded Karl Swenson to take an encore turn at the microphone. As expected, Swenson’s return to radio was another expert performance that Robson anticipated. Occasional radio appearances dotted Swenson career for the next 20 years, but it was mainly a busy film schedule, primary for television. His last memorable television series was NBC’s Little House On The Prairie, in which he played Scandinavian mill owner Lars Hanson, who was killed off in the episode seen on October 16, 1978. In a finally irony to his career, Swenson, himself, died suddenly of a heart attack while visiting relatives in Connecticut on October 8, 1978, one week earlier. (1) Karl Swenson and Virginia Hascomb, both 22, were married in 1930. The union lasted until their divorce in 1960 and produced four sons. She survived until 2005. (2) It was during this period that Swenson met his second wife, actress Joan Tompkins who played the scheming Madeline Travers. (3) Unlike his Lord Brinthrope voice, Swenson gave Lorenzo Jones a flat, Mid-American accent, often weakening in arguments. (4) Lorenzo Jones was sponsored for twelve years by Sterling Drug’s Philips Milk of Magnesia and Bayer Aspirin. Proctor & Gamble assumed sponsorship of the serial from 1949 until it left the air in 1955. American Home Products’ Anacin sponsored Our Gal Sunday from 1937 to 1955. Procter & Gamble and participating sponsors took the show for its final four years. (5) Cavalcade of America was originally a CBS program. It moved to Blue in 1940 and NBC in 1941 where it remained for the next twelve seasons. (6) Mr, Chameleon was also sponsored by Karl Swenson’s weekday afternoon Lorenzo Jones sponsor, Sterling Drug’s Bayer Aspirin. (7) Mr, Keen and Mr, Chameleon also shared the same director, Richard Leonard.